The Obagi Nu-Derm and Obagi Nu-Derm Fx range both work to achieve the same result. The difference between the two are the ingredients used. Both the Nu-Derm and Nu-Derm Fx are available for both normal to dry skin and normal to oily skin. 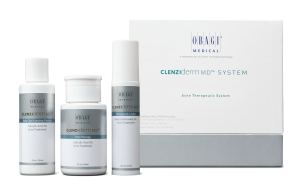 In addition to this, you are able to buy the whole kit, individual products or a trial size kit. 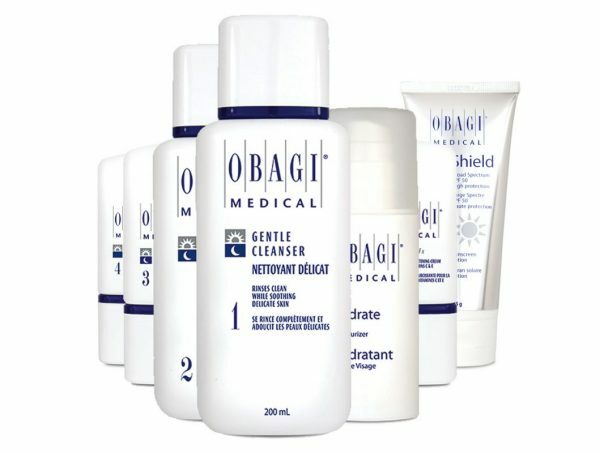 Obagi Nu-Derm is a fantastic treatment that works for most skin concerns and is highly effective. This treatment requires a commitment to give you results and deals with the consequences of skin damage from sun exposure, hormonal changes and stress. 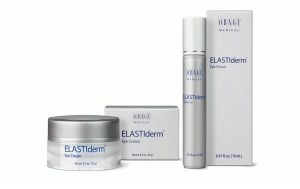 What is the difference between Obagi Nu-Derm and Obagi Nu-Derm FX? As explained above, there is a range of products available to suit your skin whether you have dry skin or oily. 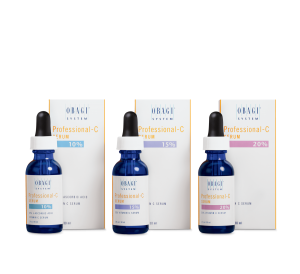 Obagi takes the options one step further with the FX range. So what is the difference between the Nu-derm and the Nu-derm FX? Nu-Derm products, such as Clear and Blender, contain 4% hydroquinone, which is a prescription ingredient. Nu-Derm FX swaps the hydroquinone for arbutin. Arbutin does not require a prescription. Both hydroquinone and arbutin are skin brighteners. Removes impurities and excess oil, as well as any, makeup. Assists in aligning the skin’s pH levels, preparing the skin for the next steps. Prevents melanin formation and brightens skin tone. Keeping the moisture locked into your skin is the key to a healthy looking complexion. 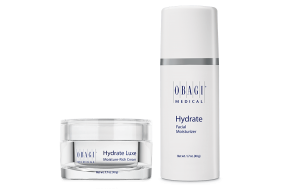 Hydrate helps to calm and soothe the skin from irritations which may occur due to the use of other products in the system.